Oftentimes when people ask me what I do for a living, and I tell people that I channel the Angelic Realm, teach spiritual development and create meditations, they seem surprised. This interesting occurrence has however led me to realize that many people have a preconceived notion of what it means to be “spiritual”. They have an idea of what a “spiritual person” is like… And I just don’t seem to quite fit in with their preconceived notion. Maybe they were expecting someone in my line of work to be a bit older, to dress a certain way, or to be a little more scattered- sporadically shifting focus between the physical and spiritual realms. There does seem to be a bit of a stereotype that a psychic, or spiritual person is also a bit of an airhead. Many poeple think of psychics and people who channel the angels to be people who look really exotic, gaze into crystal balls and of course wear huge hoop earrings and flowy gypsy clothing. Although I cannot deny that I have met psychic and spiritual people who fall into alignment with this generalization, it is definitely not always true. It does not have to be true, and really, the best psychics and spiritually minded individuals I know are very much grounded, practical, present, and could easily pass off as being “normal” if this situation called for it. 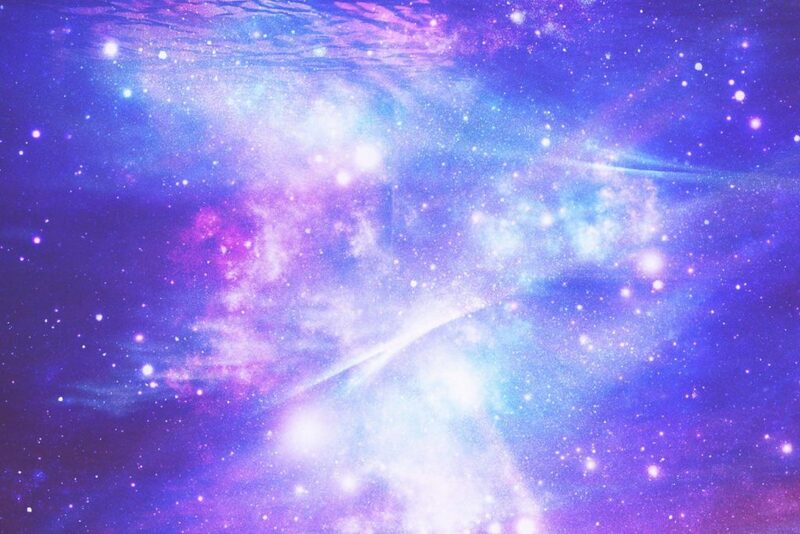 So what is the secret to being grounded and present, while also being able to connect with the highest spirituals, realms, angelic energies, and divine frequencies? 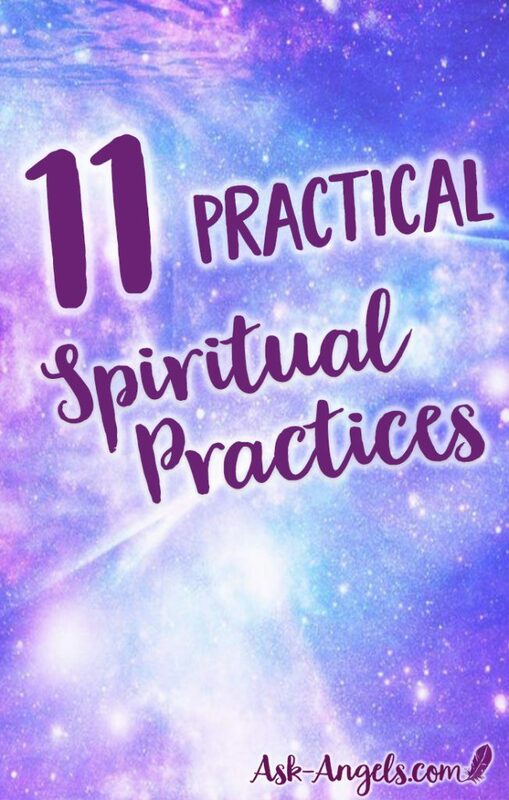 To be more specific, it is practical spiritual practices, which you too can leverage to connect with all the benefits of the realms of spirit, while still being able to live and thrive, as a grounded, present physical being in the “normal world”. Meditation is essential for anyone who is on a spiritual path. Do not however let this be overwhelming for you. Many people over-complicate meditation and build it up in their mind as something that is hard, when it is innately simple. Let meditation be simple. Meditation is listening. Take a minute lay in silence before you get out of bed in the morning, listen to an audio meditation as a mid-afternoon break, or before you go to sleep. You can also just take a moment to sit still, and focus on breathing, and listening. There are many ways to meditate… Learn 9 Types of Meditation here. Reading spiritual material is a wonderful way to continue to progress spiritually, and to bring increased inspiration into your life. Of course, I recommend my books of angel messages, which you can access here. But, there are also so many wonderful spiritual books available today. Follow your intuition, and counterbalance all the negativity that surrounds us in the modern world today, by reading positive, uplifting and inspiring spiritual truths. I cannot even begin to express how powerful the practice of bringing more gratitude into your life will be for you. When you are in the state of gratitude, you’re effectively magnetizing more to be grateful for in your experience. Just try it… This has been so powerful in my life, and it just keeps getting better! Try to start and end your day by thinking of the things you are grateful for. You could also keep a gratitude journal, or pick a certain trigger, like noticing sparkles of light (this is mine), which when you notice it you will remember to refocus on what you’re grateful for. However works for you, find the time to breathe, and tune into the immensely powerful force of gratitude. Find the time to reconnect with the natural world. Time spent in nature is healing, grounding, and heart opening. The natural world is one of the biggest allies you have on your spiritual path. Live in the city? No worries! Find a tree, and take a moment to stand under it. Do your best to start looking up at the sky instead of down at your phone when you have a few moments to spare. You can also bring flowers, crystals, essential oils and plants into your home or office, and then look at them, feel their energy, smell them, and admire their natural beauty. This may seem small, but it’s incredibly powerful in keeping you centered, grounded and aligned with what is important. Then when you can, get out deeper into nature to hike, and surround yourself with more of the beauty of the natural world. Synchronicity is a huge way in which the Universe, spirit guides, and angels communicate. Pay attention! When things effortlessly work out for you, go with the flow. If something is really just not happening for you no matter how hard you try, maybe there is a greater reason. I love to ask the angels to give me signs they are with me, and for the universe to show me my next steps, and they always do! I truly believe the universe is conspiring with me, to make my goals and dreams a reality, and so this is what I attract. Pay attention to the signs all around you. Teaching and spiritual truth are all around and with present moment awareness, we can tune in, honor, learn from, and appreciate them. Learn more about Signs from Angels and Warning Signs from the Universe. To me, mindfulness means being present and aware in the moment. One of the easiest ways to cultivate mindfulness is to focus on your breathing. In this and any moment, become aware of your breath. Be aware that you are breathing in, and be aware that you are breathing out. If you find you’re getting pulled into a spiral of thought, worry, or doubt… Stop! Press pause and focus on mindful breathing in the moment. When talking to someone, stop your mental chatter, focus on your breathing, and really listen. Feeling impatient, worried, frustrated, or bored? These are the perfect signals that you would benefit from mindful breathing, and increasing your awareness in the present moment. Returning to love in the present moment is the accelerated path of spiritual development and awareness. I’m not saying it’s easy to respond to every life situation, challenge, or person you encounter with love… But I am saying that this is the path all the enlightened masters and spiritual teachers have walked and shown is the way. One step at a time, start asking: Is this moving me in the direction of love or fear? Keep moving in the direction of love and you will naturally progress on your spiritual path in a grounded, positive, and empowering way. Physical exercises like yoga, qi gong and tai chi are popular spiritual practices because they merge meditation, mindfulness and gratitude. The key to transforming your yoga workout into a spiritual practice is committing to do it regularly and with intention. Learn how to invite angels into your yoga practice here. Essential oils when used with intention, and to remind yourself of your higher spiritual nature and inner light and power can be a simple and effective spiritual practice. Learn more about essential oils as a spiritual practice here. I like to think of meditation as listening to Spirit, and prayer as talking to Spirit. When I say “prayer” I don't mean repeating any specific words that are pre-written, I simply mean taking the time to talk to Spirit, as yourself, in your own voice and from the heart. Prayer can take the form of asking for help, expressing gratitude for the blessings you do have, or asking for guidance. The important thing about spiritual practice is your intention to connect and grow spiritually, and the commitment to return to it regularly. With these two things whatever you choose as a spiritual practice can make a huge difference in your life. Writing is said to be one of first types of magic… And I must say, putting into writing what you want to see manifest in your life really is incredible powerful. Write our you want in way that's affirming it as being true. This is called an affirmation. Writing affirmations is powerful, but you can take it to an even new height by not only writing… But really feeling the positive emotion of what it would feel like to have your desire come true. Tune into the feeling of being incredibly blessed and supported, and of having reached your goal, and then return to that feeling often to bring the power of positive affirmations into your life. Read some sample positive affirmations here. to cause more pain. I am good person who is just fed up with the situation. How come everyone just can’t get along and why does he want friction? How can I stop his low vibration getting the better of me? Thanks for any advice. Thank you ! bless you ! This is most helpful. I talk to my angels, meditate, burn incense & I like to get out on my days off work to the beach/coast or a stroll in a public garden. I do love everyone but certain individuals I meet either at work or out do try my patience at times – I don’t get involved now in negative subjects or feelings I just walk away sending them my blessings. Thank you Melanie as I continue my spiritual journey. Thank you Melanie this is very helpful. Along with meditation, chats with my Beautiful Angels, Ascension Card readings, essential oils and walks on the beach, I love to sing, from the heart. I’m sure my Angels like to sing along with me too. Please New moon Monday bless me with good health by healing me. Send me a new love. Shower me with wealth and give me courage and strength to move forward in my life. Keep me focused and alive. Hello Melanie, I wake up in the mornings and say thank you for everything that I have and everything I’m about to receive. When I eat ,and drink water I say thank you. I try to meditate daily to your Angel messages, by the way they are wonderful. My daily outings I let people in before me in line,smile at people ask them how they are doing, open the door,and help the elderly. That is what I do daily on my Spiritual Journey. Having trust, faith and believing!!!!! Good Morning Miss Melanie! The word mindfulness seems to be the key word for me this week. I remember when I spent time at a mental health program. Mindfulness was part of the program. It is an essential part of Dialectal Behavior Therapy (DBT). My mind is constantly turning. Is seems to be perpetually in motion. I’ve started listening to fairy guided meditations before I fall asleep at night. since I started this practice I’ve had very vivid dreams (but not related to the meditation). January is a difficult month for me. It is a time when everything usually will go bad for me, a time of tumultuous changes that inevitable bring me back where I started if not a few steps backwards. Thank you for sharing your page with everyone. I will be following it. I balance spirituality in my every day life just by being. I pray all day, every day. Sometimes just simple Thank You’s, sometimes more intense requests for others to become well. Anything in between, whenever the message hits me. I also talk to anyone who asks for clarification on topics. I am not a preacher type, but do notice when someone has been sent to me who is looking for answers. I meditate as often as I can. I love random acts of kindness!! So much more is involved… but I am eternally grateful for you and other sources of learning and growing with truth.